It’s that time of year again. Denver Restaurant Week is back for it’s 15th annual year of incredible dishes and unbelievable eats. Every location is quick light rail ride away from the college apartment in Denver, so get ready to dig in! What Is Denver Restaurant Week? Denver Restaurant Week is a celebration of food, drinks, and community in the Mile High City. Restaurants across the city and beyond will feature unique multi-course dinners ranging from $25 to $45 each. Several come paired with wines, craft beers, and spirits to push your experience over the edge. Each meal is characteristically a fine-dinging experience, showcasing a restaurant’s favorited items along with their prowess in the area. 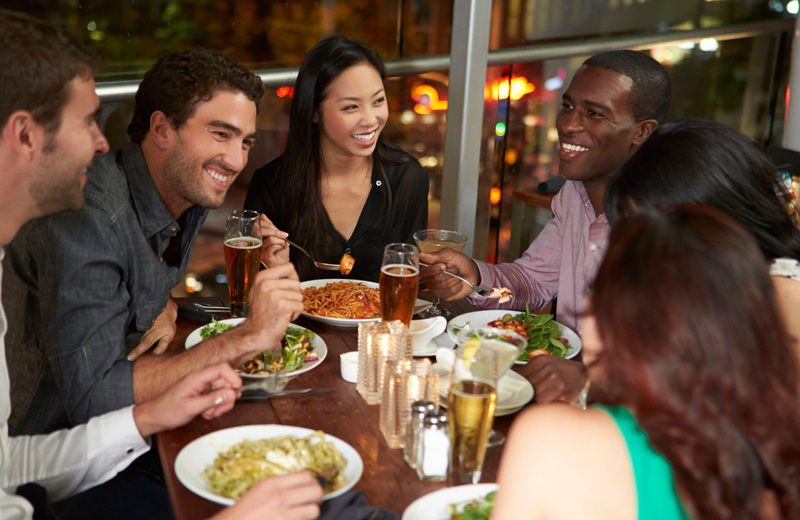 This is an excellent chance to try something new, relive an old favorite, or simply hang out with friends and bond with fellow Denverites over a delicious meal. The event lasts a total of ten days, starting on February 22nd and lasting until March 3rd this year. As for locations, you can find participating restaurants in every neighborhood. No matter where you decide to go, the city’s light rail system can take you there. Each restaurant listed also states what dieting restrictions they cater to and what memberships or associations they belong to. Since there are too many to name, here are a few locations to wet your appetite. If you enjoy classic American cuisine with luxurious menu items, 801 chophouse has the finest surf and turn in the city. Major names like Atelier, the certified sustainable Bamboo Sushi, and the Blue Agave Grill are all participating this year, too. Check out the event’s website to get an idea of the endless possibilities that await your taste buds. The majority of restaurants on the list serve alcohol, but there’s more to Denver Restaurant Week than just where you can grab a bite to eat. This event also centers around the types of alcohol you can pair with you meals, featuring a heavy focus on wine. Throughout the event, dinner menus all over the Denver area will offer delicious wine and spirit pairings carefully selected to round out flavor profiles. While wine is the most popular choice, you can still find masterfully crafted cocktails and plenty of boozy shakes. All wines features as part of this week-long event come from stores and wineries in the mile-high city, which collectively equal 101 locations. So, remember your favorites! You can pick them up anytime throughout the year. Each of these areas are the culmination of their neighborhoods. Downtown, for instance, includes LoDo as well as Larimer Square, Riverfront, and RiNo. You can find a unique scene in each area, derived from the diverse and vibrant population that resides within. Take West Metro, for instance. It offers a distinctively contemporary flair as well as an intensely committed bar scene and regional fare ranging from fine Italian to authentic German. Golden Triangle, on the other hand, boasts trend-setting restaurants along with the city’s hottest night clubs and quaint coffee houses. If you’re unfamiliar with any specific neighborhood, Denver Restaurant Week is the perfect time to try out their dining scene and explore the area. This provides the highest amount of unique experiences while expanding your knowledge of what Denver has to offer in terms of food and drink. There are a number of sponsors that help bring in new restaurants and wineries each year while helping to keep the price per meal reasonable. News outlets, companies like OpenTable, and Visit Denver are obviously part of the mix, but it’s the wine sponsors you should pay attention to. Next, don’t be afraid to splurge. Restaurants will feature numerous wines, add-ons, and special desserts during the week. With the lowest price point starting at $25, you might find a little wiggle room in your budget to treat yourself to the dining high life. Keep in mind that price points are significantly lower than what you would pay for these multi-course meals. So, pay it forward. Give your server a little something to show your generosity and to help them make it through ten of their busiest workdays out of the year. Each and every location is within your reach at COLAB, a brand-new campus adjacent urban basecamp. These student homes are thoroughly equipped to satisfy everyday needs though lavish amenities while satisfying your mountain spirit. Fully modern conveniences, envious flair, and a premier location are upping the game on student apartment living. Your day-to-day just got a lot more stylish. Live big. Live true. Live COLAB.